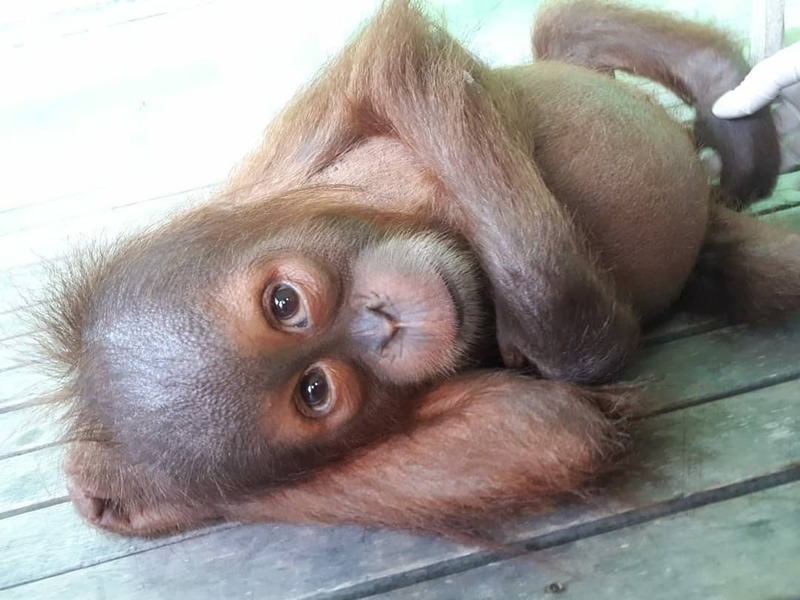 The Orangutan Information Centre (OIC) HOCRU team has been busy rescuing baby orangutans this month. The first, Sapto, had been kept in a small, dirty chicken cage for six months. He was also fed inappropriate food such as rice. This is a far cry from the nutrition he would get living with his mother in the wild. Sapto is estimated to be around two years old, and has now been taken to the SOCP quarantine centre to be rehabilitated. Sapto before his rescue. Photo courtesy of OIC. 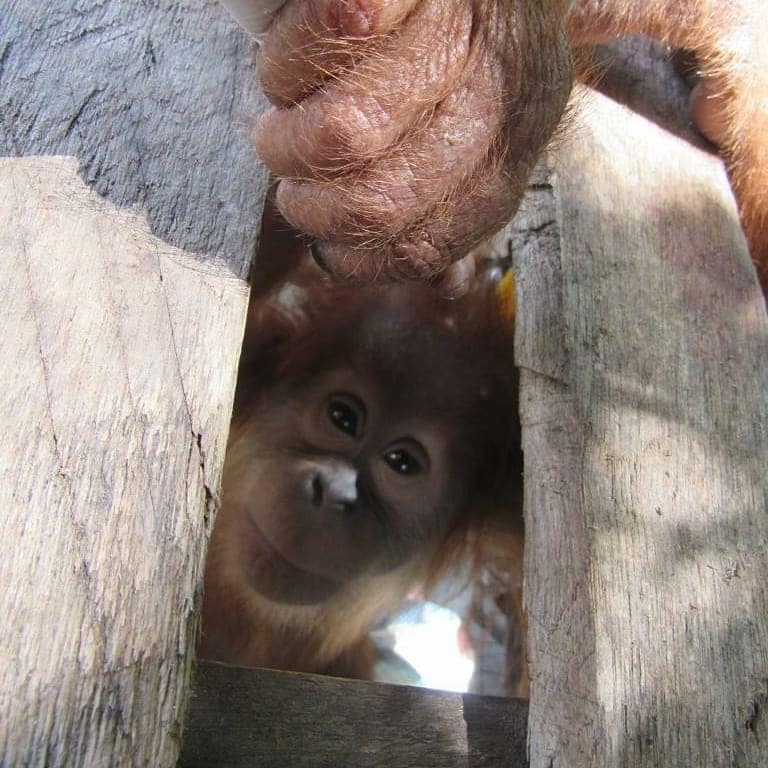 Shortly after Sapto’s rescue, the team was alerted to another male baby orangutan being kept as a pet. The team travelled to a village in East Aceh to speak to the people keeping the baby and explain to them why this is illegal. Then, in collaboration with local authorities and police, they evacuated the baby to the SOCP quarantine centre. Now named Adij, the baby is also estimated to be around two years old, and appears to be in good health apart from having a fever. Adij before his rescue. Photo courtesy of OIC. To read more about the HOCRU team, click here, or to support their work, hit the ‘donate’ button below.